﻿ The Grumpy Drivers’ Club | BOOTIFUL! 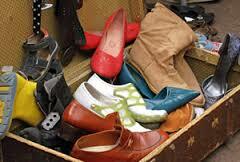 The key to a stress-free start to your first car boot is to sit tight. Keep doors and windows locked. When you’ve been going to car boot sales for as long as I have, then very little about the buying and selling process is remotely fazing. But if you’re a rookie, the scariest thing about them happens the moment you rock up in your Vauxhall Astra crammed with your unwanted tat. I call them ‘The Night People’; a mob of unstoppably insistent bargain zombies who have been lying in wait among the dew-coated bushes and trees of the car boot field. If you are silly enough to release the central locking and open a door and boot lid, their grubby hands are in, splitting open boxes, their fetid nails tearing at carrier bags, bony elbows protruding through their unhealthy lard layers to dig and swipe at rivals as they attempt to get first dibs on your stuff. You will, as a first-timer, be bamboozled. “How much is this?”; “What do you want for these?”; “How much, how much?” If you haven’t got the immediate answers, you’ll feel under siege. And all this happens well before the event opens to the general public. 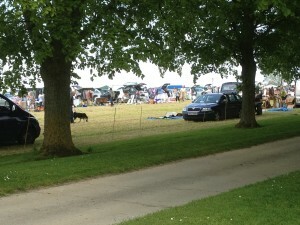 The key to a stress-free start to your first car boot is to sit tight. Keep doors and windows locked. Resist the snarling invitation to open up and let them in. If you look in the rear-view mirror, you’ll see more cars arriving for the sales bonanza. 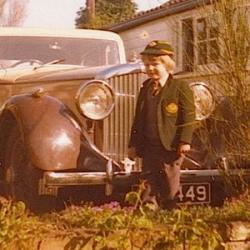 Night People will soon tire of badgering you, once they see fresh meat parking up. Give it five or ten minutes and they’ll have moved on – and you are free to open up, put up your table, lay out your wares and start selling. 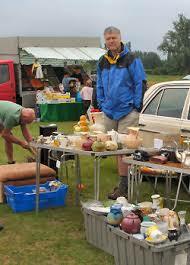 I’ve just written a complete manual for selling at car boot fairs. It’s called How To Make Money At Car Boot Sales (published by Robinson at a mere £8.99), and I’ve crammed in absolutely everything you need to know about galvanising yourself into planning your pitch and having a successful morning’s selling. I’ve shifted countless carloads at them; but I’ve also picked through the detritus to find items of treasure that I’ve later sold for a healthy profit, easily covering that week’s household grocery bill. The motivation for most of us will be to clear household clutter (in surveys, this appears frequently as a frontrunner in the stresses-of-daily-life league). The money-making bit should be a dead cert if you follow my advice. Most people, if they have a good day, come away with anything from £80-150. But while you’re busy flogging off your stuff, you’ll also keep your focus on the whole point of the exercise… to return home with the minimum of toot taking up car-space. Mind you, if you are easily riled, you might want to lay off the Red Bull on Sunday morning. The punters are ruthless in their approach, and frequently towards the insulting end of the scale. So I’ve written about getting into the mind of the buyer and how to deal with ‘the enemy’. 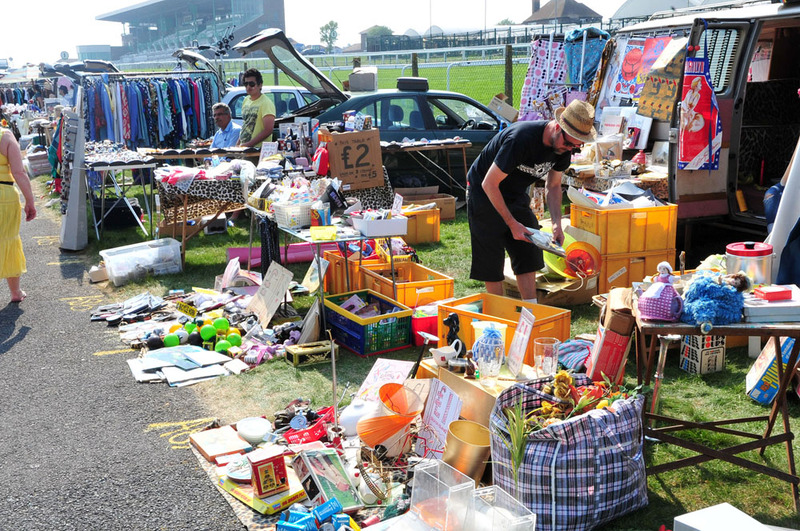 The main thing is, a car boot sale is a proper market environment and increasingly few of us have much experience of these. If you live your life by swiping barcodes and tapping PIN numbers, then you definitely need some tuition. Because cheeky offers are the name of the game at a booty, and so are downright rude ones if you have the chutzpah to make them. Sellers might look irate and huff and puff, but they can still say no. Or yes. 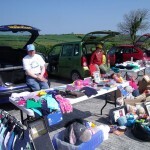 Of course, to ‘do’ a car boot you certainly need a car, but you’d be amazed at how much can be packed into a VW Polo, so there’s no need to borrow a Transit and fill it to the rafters. You’ll need to pack it well, with your table or ground-covering going in last, so that it can be first out as a makeshift counter. All a bit, like, duh, but if you haven’t rehearsed your set-up in your mind, then you’re going to be more than grumpy when the massed hordes descend on you. We have a simply delightful copy of Giles Chapman’s How To Make Money At Car Boot Sales to give away. All you have to do is post a funny/weird/bizarre car boot or flea-market related story in the comment section below, and the one we like best wins the book.